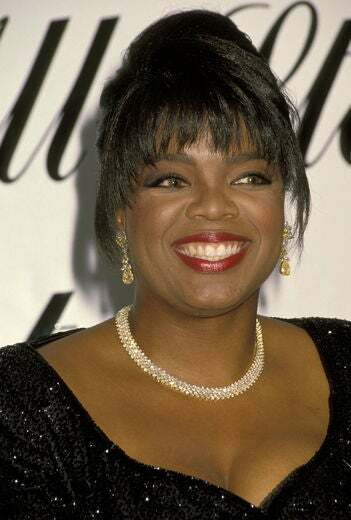 She may be known as the queen of all media, but Oprah Winfrey is just as famous for her ever-changing hairstyles. From curls to short bobs, here are over two decades of dazzling 'dos from our Black Women In Hollywood honoree. At the 43rd Annual Golden Globe Awards, Oprah rocked a cool short cut with fluffy bangs. 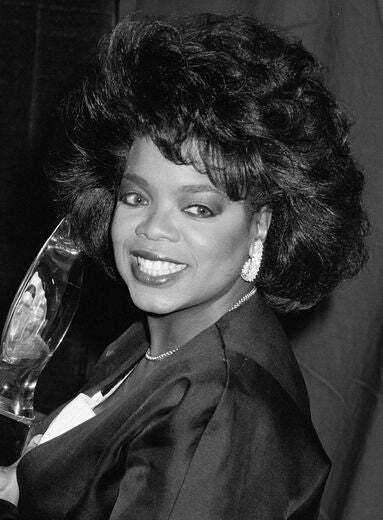 Teasing the hair out was a popular trend in the 80’s, and at 14th Annual Daytime Emmy Awards, Oprah's voluminous style was right on trend. 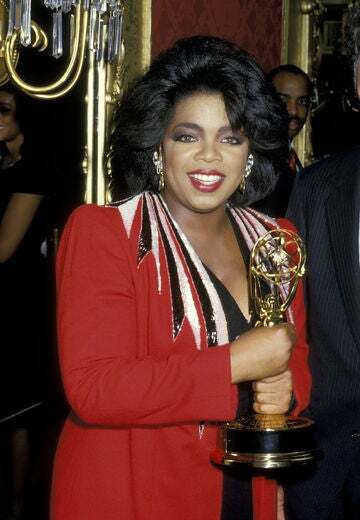 At the Emmy Awards, Oprah sported a teased-and-sprayed ’do with loads of bouncy layers and shine. It was a formal affair at the American All-Star Tribute to Oprah Winfrey where the honoree of the night glammed it up with a French twist and layered bangs. At the ‘Get Movin’ With Oprah’ Spring Training Mother’s Day Walk, Oprah looked casually cool in this breezy short style. 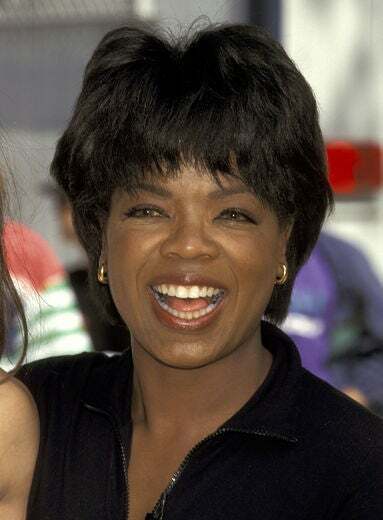 Occasionally, Oprah has worn a wig or hairpiece to create a new look. Here, she goes for short layered pixie at the premiere of Before Women Had Wings. 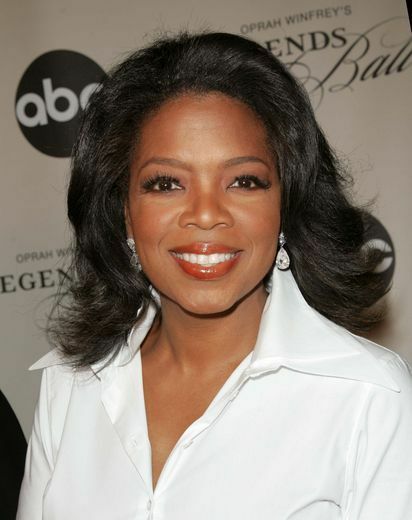 Oprah sported an elegant bouffant upsweep at the 25th Annual Daytime Emmy Awards. 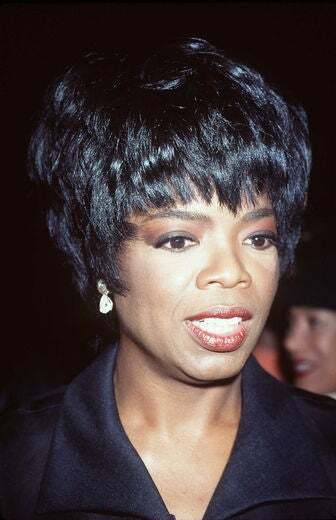 At the National Book Awards in New York City, Oprah sported a voluminious haircut that started a new trend in hair salons across the country. 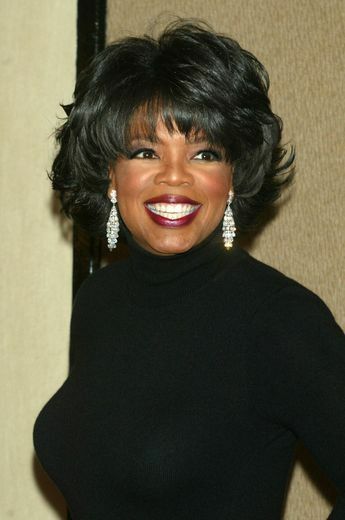 Oprah was all smiles in soft, face-framing layers and a chic, eyebrow-grazing bang. A bold red lip adds extra wow-factor to this look. 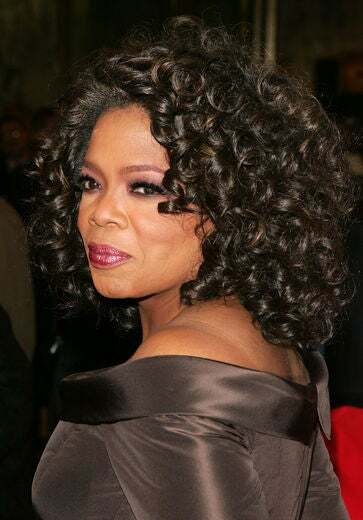 Oprah sported a flipped-out short shag packed with body when she arrived onstage at the 54th Annual Primetime Emmy Awards. 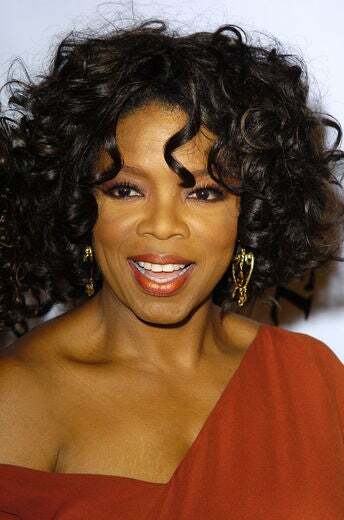 Oprah attended a charity event in soft spiral curls and peek-a-boo face-framing ringlets. 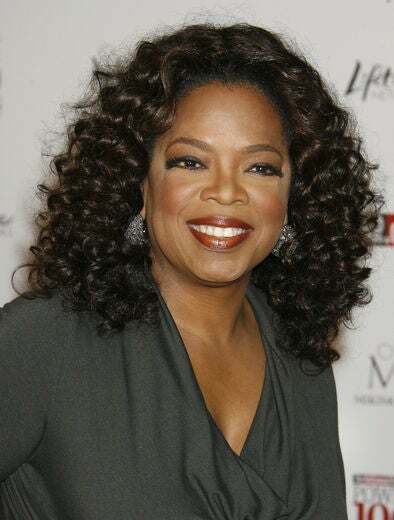 Oprah looked radiant in these soft, flowing curls at the Sesame Workshop’s Second Annual Benefit Gala. 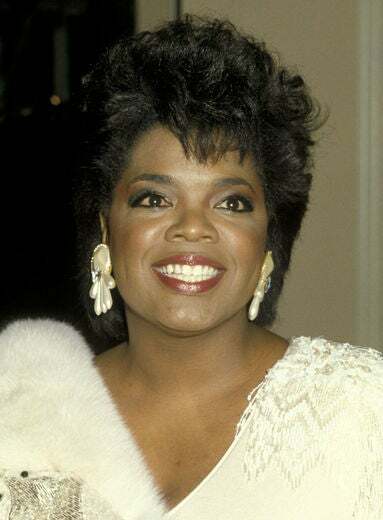 Oprah stepped out at the Academy Awards in a short layered shag, which became one of her most memorable haircuts during her career. 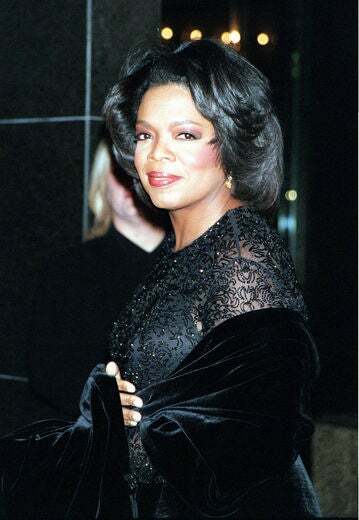 Oprah rocked voluminous spiral curls when she got dolled up for the Broadway opening of The Color Purple. 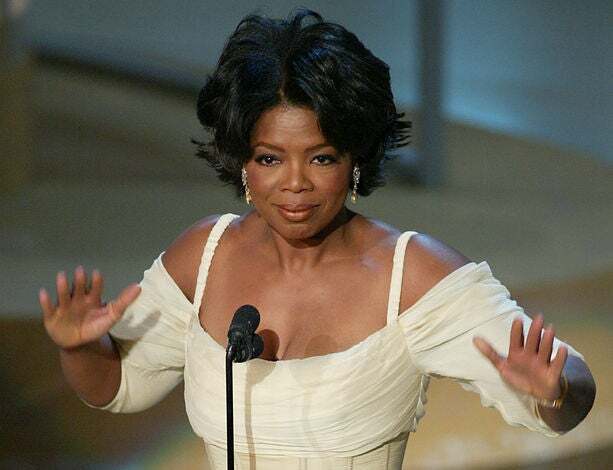 Oprah was a bronze beauty in these sassy short curls and glowing skin at the Academy Awards. 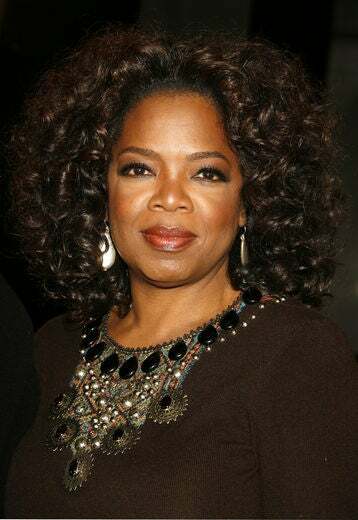 Oprah wore her curls pulled back in a classy updo at the inauguration of the Hearst Tower. The media mogul wore her hair with the ends flipped and lots of volume when she arrived at her much-talked-about Legend's Ball. 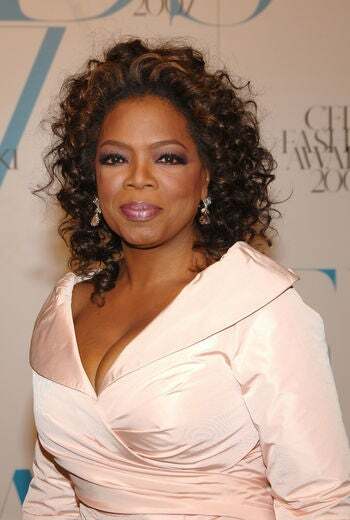 Oprah added golden, honey blonde highlights to her lush tresses when she attended the CDFA Fashion Awards. For the premiere of The Great Debaters, Oprah opted for her signature chunky spirals. 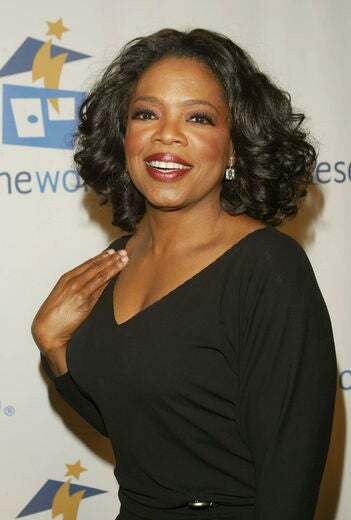 At a charity fundraiser, all eyes were on Oprah as she walked the red carpet in a halo of cascading curls. 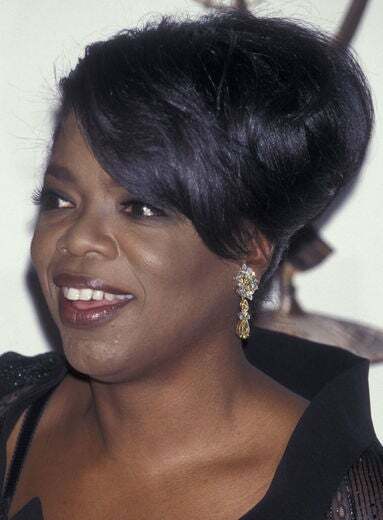 At an OWN cocktail party, Oprah turned heads in this sophisticated and sleek ponytail with a hint of volume in the crown. 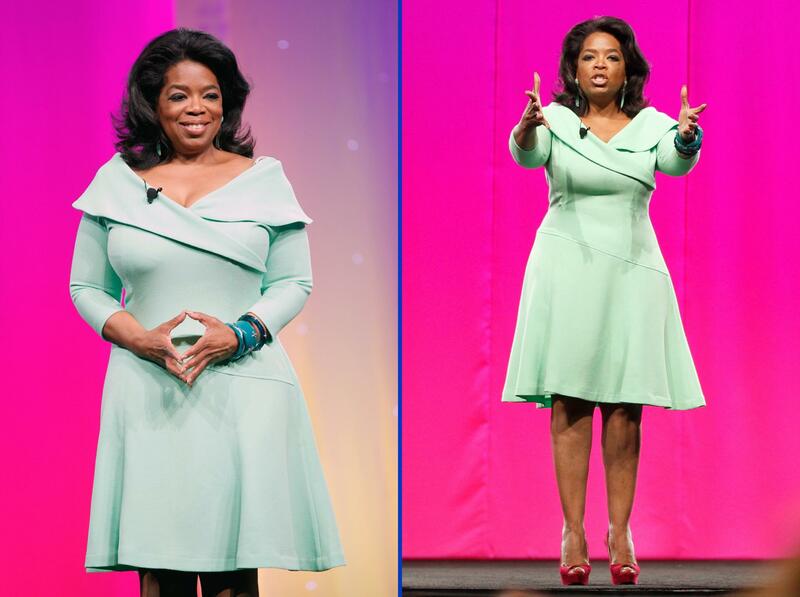 Oprah looked breathtaking on stage at the O You! event presented by O, The Oprah Magazine. The curvy queen flaunted loads of lovely layers with a slightly flipped curl.